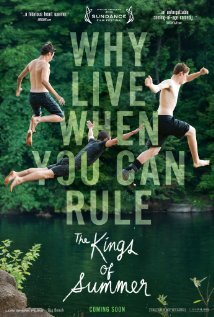 The Kings of Summer follows Joe (Nick Robinson), Patrick (Gabriel Basso), and Biaggio (Moises Arias), three high school kids that abscond to their local forest one summer to live free of their parents. Before you go judging them, you should know that these are the kinds of parents that give their boys hives. The nagging, embarrassment, and rules are just too much! The Kings of Summer feels like Moonrise Kingdom infused with a coming-of-age teen comedy. There's a surreal, adventurous quality to the film that’s perfect for the genre. Life on the cusp of adulthood is nothing if not surreal. The film starts out in the woods, about a month after the boys run away from home. Only after we get a glimpse of their “kingdom” in the forest do we jump back to an earlier time, a time when Joe and Patrick are both near their breaking points thanks to their parents. The first act of the movie builds up to a lake party, a fun scene and the closest the film gets to being a standard high school flick. It’s after this party is broken up that Joe and Biaggio (an oddball kid coming to terms with his homosexuality [or, wait, is that cystic fibrosis?]) stumble upon the beautiful forest clearing that will become the site of their forest home. The sight of the clearing sparks something in Joe, a desire to build his own house where he can be free from the rule of his father. And that’s exactly what he does. If you fault the film for anything, it won’t be the cast. Nick Offerman as Joe’s father Frank is great casting pure and simple. He’s trying to raise his son Joe on his own as best he can, but the boy is understandably ornery, especially when Frank has a girlfriend over. Offerman effortlessly produces anger and sad frustration with equal ease. Robinson, Basso, and Arias carry the coming-of-age summer torch effectively and Alison Brie as Joe’s visiting-from-college sister was refreshingly simple and laid back compared to her role as Annie on Community. The Kings of Summer, oddly enough, is very much a love letter to nature, featuring fantastic close up shots of the flora and fauna that Joe, Patrick, and Biaggio encounter. These shots, along with picturesque fields and sunsets, give the movie a memorable look. There’s some fun slow-motion shots in the film worth noting (slicing apples in half with giant swords and, sure, why not, brutal arm punching shenanigans) and the soundtrack is great, appropriately featuring MGMT’s “The Youth” and original synthy work as well (did anyone else notice the repetition of a tune that sounded a lot like “In the Hall of the Mountain King”?). My only qualm with the film is that it briefly feels a little “skitty” once the gang does move out to the forest, with a lot of random shots and scenes of the guys out in the woods. A love triangle subplot between Joe, Patrick, and Joe’s crush Kelly (Erin Moriarty) develops that shifts the film back on track, however. If nothing else, The Kings of Summer is a solid comedy that fits nicely into the summer and coming-of-age genres. It’s a film that says that it’s okay to rebel a little bit, and that it’s okay to move past your youthful rebellions as well. 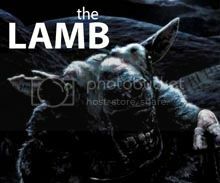 The final shot of the film proves that they’ll always live on. I'm with you here. It's not a perfect film and the pacing/plot gets off track sometimes but there's a lot of good stuff in there. Its cinematography was definitely a welcome surprise. Doesn't beat Moonrise Kingdom for me, but it was still really enjoyable. Good review! Thanks for the comment, Jess. I'm glad the film had something to offer for you. And yes, I think Moonrise Kingdom will be the "summer/running away/coming of age" crown holder for a while.